The Australian Dollar appreciated about 73 base points against the US Dollar on Friday. 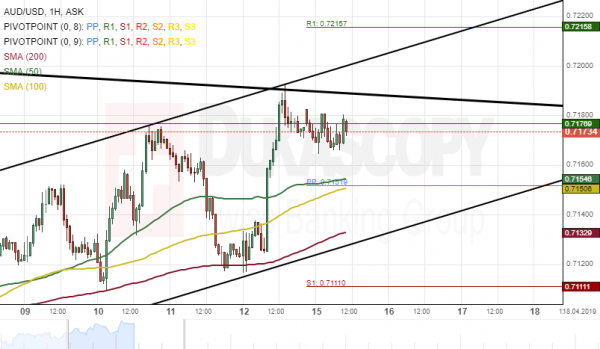 The currency pair breached both the 50– and 100-hour SMAs during Friday’s trading session. Most likely, the currency exchange rate will move towards a support cluster formed by the combination of the 50– hour simple moving average and the weekly pivot point at 0.7153. 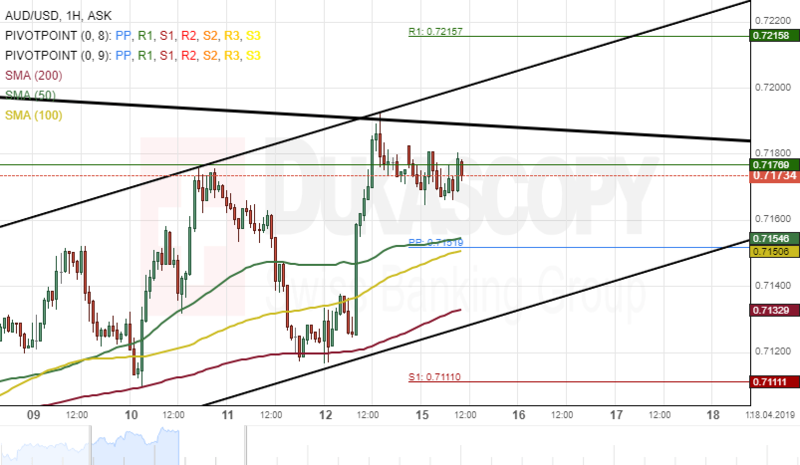 If the support level, as mentioned above holds, the AUD/USD exchange rate will continue its upside movement today. Although, if the rate passes the support line, bears could drag the currency exchange rate lower during the following trading session.